Chetan Agarwal from Thana, B.E. - B.Tech Graduate. SAP INFRA NETOWORKS SAP INFRA SAP INFRASTRUCTURE IT SKILLS SAP ABAP SAP BASIS SAP TEAM HANDLING SAP TEAM HANDLING P..
are one of expert skill area's of Chetan Agarwal . 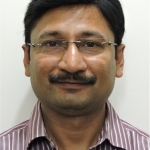 Chetan Agarwal is working in IT Software industry.